Welcome to the Bee-clock.com website! The site is still under construction, but here you can see and order your Bee-clock®! Write to info@enolapi.it and place your order! Bee-clock® is your precious help for tracking hives. Thanks to your Bee-clock® you can know exactly what are the conditions of your hives and keep track of all the most important information about your apiary. Bee-clock® is a patented product and a registered trademark. 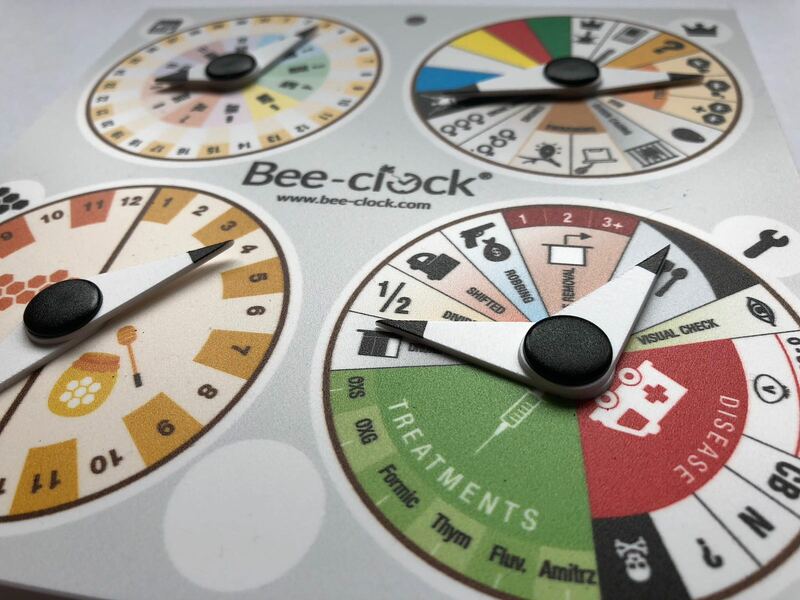 Bee-clock® is very easy to use: just place it on the apiary and move the hands on the icons that affect your apiary. You can also write the number of the apiary you are observing and photograph your Bee-clock® with your mobile phone, to always have all the information at hand and consult them even when you are not in the apiary.